Upgrade your ticket at the entrance kiosk before you leave the park to come back for just £1 on the next day we are open. This offer cannot be used in conjunction with Woodlands Christmas Grotto Tickets. The upgrade needs to be done on the day the ticket was bought and you must have your entrance till receipt. Please note a wristband will need to be worn. 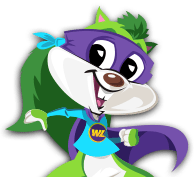 Only valid for the next day that Woodlands is open, for example, if the ticket is purchased on a Saturday it is only valid until the Sunday of that same weekend. The last date for this upgrade is 24th March 2019. Your wristband will be fitted by a member of Woodlands’ staff. The wristband must be worn at all times for free re-entry. Removed or damaged wristbands will not be valid. If a wristband cannot be worn a photo card can be issued at an extra cost of £2.00 per family, please enquire at Reception for this and allow extra time for this to be made for you.